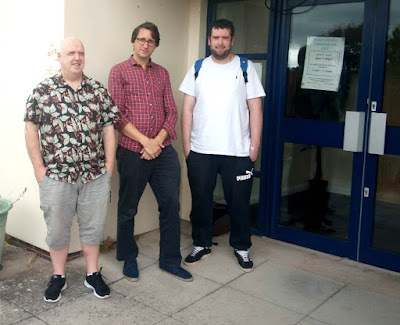 Ever since learning of the Welsh Government's proposal to introduce a ban on smoking in all hospital grounds, Powys Patients' Council has been working hard with current and former patients of the mental health inpatient unit in Powys - Felindre Ward at Bronllys Hospital - to gather feedback. The Council was determined to prepare a formal response to the recent government consultation on the topic. Up until now mental health wards have been exempt from the regulations, and designated indoor smoking rooms have been allowed. The new regulations, if agreed, would give hospitals 18 months to close down their indoor provision, and, if appropriate, set up outdoor smoking areas instead. However, as the Council discovered, it is not necessarily straightforward to set up outdoor provision. In the case of Felindre Ward, patients smoking outdoors would require staff supervision due to the nature of the outdoor space. Obviously if already busy nurses have to watch people smoking then they're not able to do much else at the time! "The consultation considers the removal of an exemption that allows designation of a room in which patients and residents of mental health units may smoke and replacing it with a time limited one that would expire 18 months after the new regulations come into force. Smoking prevalence among people with mental illness is substantially higher than the general population and is of great concern. Removing the exemption will bring the law in line with general hospital service users and will aim to address health inequalities for persons with mental heath conditions." My colleague Owen Griffkin introduced the topic to readers last month when he wrote Powys Patients' Council: Kindles, smoking ban and more. Do you agree with the proposal to remove the exemption that permits the designation of smoking rooms in mental health units? (Regulation 8) (Please note that the removal of the exemption would not prevent the person in charge of the premises from designating outdoor areas as places where patients can smoke). Do you agree that the proposed transition period of 18 months after the 2018 Regulations come into force is sufficient time to allow mental health units to implement indoor smoke-free conditions in a safe and secure way? (Regulation 8(6). A consultation was launched in May regarding changes to the Smoke Free premises and Vehicles' Regulations that will affect mental health wards, including the Felindre Ward in Bronllys Hospital. Rhydian and John from the Patients’ Council attended a meeting on the ward with Ward Manager Lisa Hale and Penny Price, Service Manager for Adult Mental Health Services in South Powys, to ensure that they had a voice in the hospital’s response to the consultations. The Council also responded themselves by completing the consultation form and we have summed up the main points here. At the moment, the only option for people on the ward is to smoke indoors in a designated smoking area. These new regulations would end this practice and would force people into refraining from smoking for long periods. Some of the people with lived experience on the ward who smoke also used facilities in England where indoor smoking was banned and they said it was a very difficult time that made recovery more complicated. During a time of great distress it could cause extra stress to have an enforced period of nicotine withdrawal. It’s always possible for other hospital patients to leave their beds and ‘sneak out’ for a cigarette but due to the secure nature of mental health wards this will not be possible for Felindre patients. The Council was also concerned on the effect on staff time, with the staff having to accompany smokers to an unsecured outdoor smoking area. One of the main barriers to giving up smoking in a mental health unit is that patients do not have enough activities to help keep them occupied. Patients have said that they have wanted to smoke more because of the boredom as it gives them something to do. We urged that there be increased funding specifically for activities on mental health wards. We also want there to be access to a full range of cessation tools on the ward, including vaping/e-cigs, and for staff to be well trained in cessation techniques so that patients can be fully supported. The consultation closed on 17 August 2018 so we will keep you informed as to the outcomes and findings. 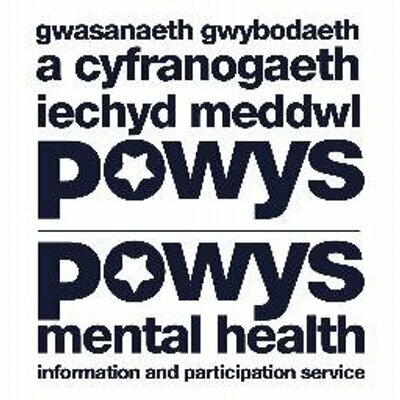 Powys Patients' Council is facilitated by the Health & Wellbeing team at Powys Association of Voluntary Organisations and aims to give a voice to people staying on inpatient wards in Powys. For more information, please contact Participation Officer Owen Griffkin by emailing owen.griffkin@pavo.org.uk or ringing 01597 822191.